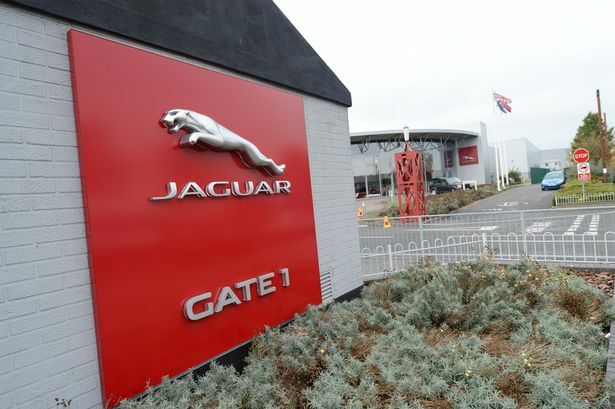 Speculation Jaguar could be targeting Austria as the location for a new car factory has gathered pace in the wake of the Geneva motor show, after the company’s CEO Ralf Speth said plans for production in the US were still some way off. The Birmingham Post recently revealed the Midland car-maker was targeting potential new factories in Turkey and Austria, contrary to reports in the US media that a factory in Georgia or South Carolina might be in the pipeline. The US rumours, which suggested government officials in both states had been in discussions with JLR, were further fuelled when Ratan Tata, chairman emeritus of Tata Motors, said a US factory was under consideration during a recent visit to the country. But speaking in Geneva Mr Speth said although a US factory was vital if the firm was to continue to grow, any decision was about three years away. Automotive News said Mr Speth revealed the firm would need to have one vehicle with annual sales of 30,000 to 40,000 to make a US assembly plant worthwhile. Currently its biggest seller in the US is the Range Rover Sport, with sales of around 18,000. Mr Speth also told the automotive industry publication an adequate supply of aluminium would be needed in the US and indicated the company did not have the resources to create more than one major plant at a time. In October last year JLR opened a plant in China as part of a joint venture with Chery Automotive and construction is currently underway on another facility in Brazil. Echoing the Post’s claims, the Sunday Times has since suggested the car-maker is currently looking at Austria as a potential location - in order to build an electric car. It said JLR was thought to be planning a small production line in Austria, making about 10,000 cars a year, by leasing space in an existing factory. It added that the move was prompted by a desire to avoid European Union emission fines that are set to be introduced, something which has seen an increase in the number of all-electric and plug-in hybrid vehicles being developed by car-makers. The report said the vehicle to be produced in Austria would be a Jaguar and that it could be available as early as next year. In mid February the Post reported how the Midlands’ most successful manufacturer was favouring Europe over North America and the UK for further expansion, with a highly-placed source revealing it was looking at factory developments in Turkey and Austria. JLR sales have doubled under Tata ownership since 2009 and last year the firm sold 462,678 vehicles but the car-maker has remained tight-lipped on expansion plans. A company spokesperson said: “No decision has been taken on future manufacturing locations. We will continue to evaluate opportunities to increase our manufacturing footprint in the future. “Our new world-class manufacturing facilities will provide additional production capacity supplementing that of our three vehicle manufacturing operations in the UK.